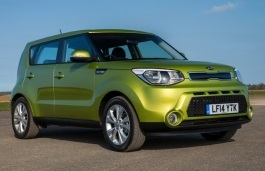 Correct Wheel Sizes, PCD, Offset, Rims and Tire specs for Kia Soul series. 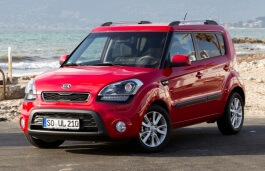 Can you tell me what are the correct specs for the 2014 Kia Soul&nbsp; 18" wheel? It would seem there is a slight difference from the 2013. I am having trouble understanding what wheels to look for and no one seems to know for my new 2014 Soul??? 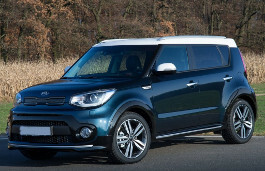 I have a 2016 Kia Soul and wish to fit it with winter snow tires. I can get a set of Mitsubishi Lancer tires which are 205/60 R16, bolt pattern 5x114.3, hub 67.1 and et 46. 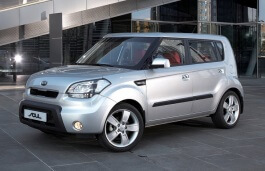 What are the specs for the space saver wheel on the 2010 Kia Soul? I am using Kia soul 2010 in Ghana West Africa and because of the nature of some of our roads I wont to use tires that will rase or give a hight from the ground currently I am using 5 bolt rim 205/60 R16. Advice me on which size of tires I should use Thank you. I'm pretty sure the tires below are compatible but don't know if the rims are....any help would be appreciated. Hi,Mary,Lancer have 3 bolt pattern 4*100,4*114.3 and 5*114.3,You need to make sure does the wheels bolt pattern is 5*114.3,If yes.You can go to wheel dealers and let them try to fit it. I have a 2017 Kia Soul EX. We were given winter tires and rims that were on a 2015 Mazda 3. They are 205/60/16. Will they fit the Soul? Hi,Peter,Can you also show your soul tire size?